Beginning with his first independent recording, The Nightowl, in 1987, keyboardist/composer Gregg Karukas has been one of the few artists whose own creative growth and commercial success perfectly parallels that of the smooth jazz genre as a whole. His string of Top 5 radio hits include Key Witness (1991), Sound of Emotion ('92), Summerhouse (#1 Gavin in '93) and his breakout major label debut Blue Touch, which rose to #4 on the Radio & Records airplay chart. 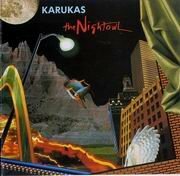 Gregg Karukas - The Nightowl (1987) download links are provided by Extabit Rapidshare Uploaded Rapidgator Netload Bitshare Freakshare Letitbit Dizzcloud and more.